As I sit here sipping my tea, I was thinking how nice it is to be safely back on home territory, well away from the prisons of the French revolution and the conflicts of Europe. No sooner did that thought cross my mind though than I realised that we're actually caught up in trouble yet again today, this time in the company of Red John of the Battles, a soldier and very opinionated statesman whose career took him across the continent and to the battlefields of the Jacobite Rebellion. Campbell was born into a military family as the son of Archibald Campbell, 1st Duke of Argyll and Elizabeth Tollemache, daughter of Sir Lionel Tollemache, 3rd Baronet of Helmingham. 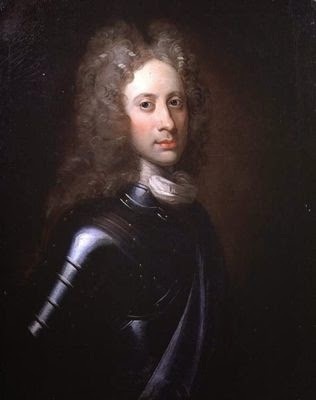 HIs childhood was spent receiving an education that was intended to prepare him for a life in the service of his country and at just 16 he was made Colonel in Argyll's army, raised in support of William III. He had a natural ability for military matters and remained with the army until it disbanded, at which point the 21 year old Campbell joined his childhood tutor, Alexander Cunningham, on a tour of Europe. Soon after his return in 1701 he married Mary Brown but the union was not happy a happy one and the couple swiftly separated, remaining apart until Mary's death in 1717. With the death of the elder Campbell in 1703, our hero took his place as both Duke of Argyll and Chief of Clan Campbell. He was a staunch supporter of the Act of Union and was rewarded for this loyalty with the titles of Baron Chatham and Earl of Greenwich, the first of many illustrious offices that would come his way. He fought alongside the Duke of Marlborough during the War of the Spanish Succession and then in numerous battles throughout Europe, gaining a reputation as a dedicated and decisive officer. Further decoration followed in 1710 when Campbell was made a Knight of the Garter and the following year he was appointed first as commander-in-chief of British forces in Spain and then Governor of Minorca. However, the vocal Campbell became increasingly displeased with the actions of Robert Harley, 1st Earl of Oxford and Earl Mortimer and the First Lord of the Treasury. Never a man to keep his opinions to himself, Campbell eventually decided to resign his position and crossed the floor to support the Whig opposition. When Queen Anne fell ill, Campbell was one of the members of the House of Lords who blocked the power-brokering of Henry St John, 1st Viscount Bolingbroke and helped paved the way for the Hanoverian succession. Perhaps unsurprisingly, when the Jacobite Rebellion occurred, the Duke of Argyle met it head on. He won a strategic victory against the John Erskine, Earl of Mar, at Sheriffmuir but his respectful treatment of the captured rebels was viewed with disdain by some figures. 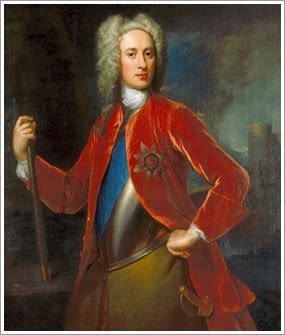 The small cloud this threw over his career did not last long and further noble titles followed, Campbell proving enjoying huge popularity at the court of King George. With his career in the ascendancy again, in 1717 Campbell received news of the death of his estranged wife and subsequently married Jane Warburton, with whom he had four children who lived to adulthood. 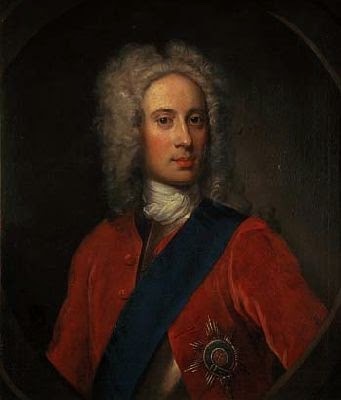 By 1736 Campbell was Field Marshal but once again he invoked the ire of political leaders when he spoke up for the people of Edinburgh in the aftermath of the Porteous riots. In 1740 he made an eloquent yet furiously critical speech of the administration and was removed from office, though he briefly returned as Commander in Chief of the British Army in 1742. At the death of this highly decorated chap, he was interred in Westminster Abbey amid much pomp and ceremony. His second wife lived on until 1767 and at her death was buried beside her husband, who had remained an ambitious, courageous and somewhat abrasive man to the last. Salon guest Colin MacDonald provided a Scottish perspective on John Campbell, 2nd Duke of Argyll; gad over and read it here! Imagine that! A colonel at 16! How on earth did he, despite military genius, command the respect of his troops at such an early age? His controversial life is certainly symptomatic of the times. Despite his tough military line it's interesting to read about his compassionate treatment of rebel prisoners. I think being a Colonel i your father's army probably helped. I do respect him for always speaking his mind though, regardless of the impact on his own standing and career. He gets sympathetic treatment in Walter Scott's "Heart of Midlothian". He does indeed, thank you!